contributions to the genus Pelargonium, but who, over the years, have been lost sight of. Austria. He was one of the first to use acid in the culture of plants. then following through methodically. 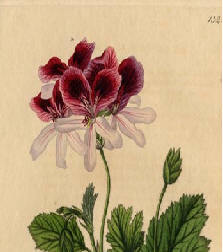 He was especially important in the hybridization of Pelargonium. from Austria to the rest of the continent. 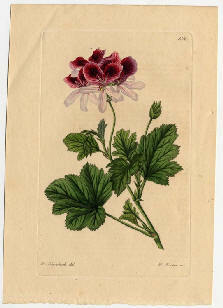 He was considered the creator of the Pelargonium breed. the breeding and propagation of peonies. involved from the beginning with agricultural chemisty and conducted experiments in that field. In a later article I will consider more of his contributions and publications. 1. 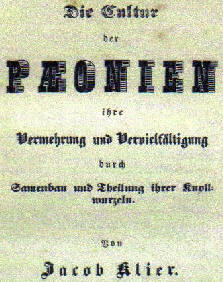 Anleitung zur Cultur der Pelargonien: Ein Beytrag zur Gew'chshaus und Zimmergartnerey, 1826, 101 pp. 4. Anleitung zur Cultur und Vermehrung der Rosa reclinata, 1843, 60 pp.